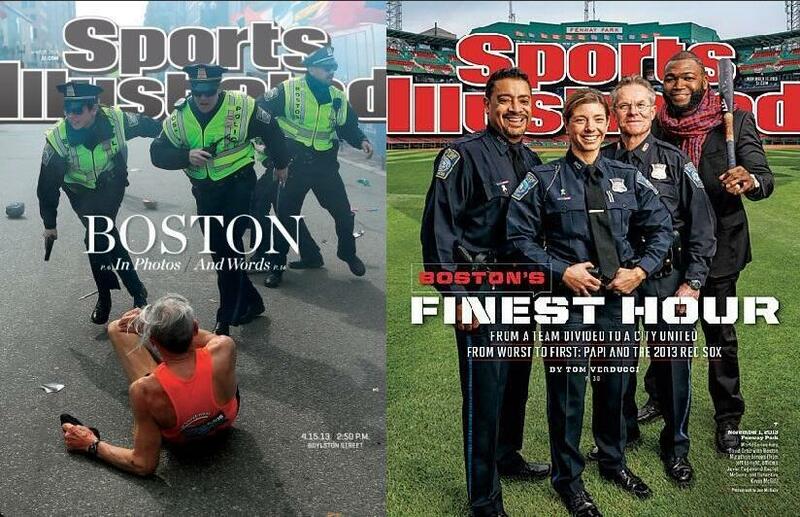 Alongside Papi, the newest SI cover pays tribute to three of the first responders at the Boston Marathon bombing. Very cool. This entry was posted in Baseball, News and tagged boston sports illustrated cover, Red Sox, SI cover red sox, Sports Illustrated, Sports Illustrated cover. Bookmark the permalink.